After walking down the sidewalk on a cold winter’s day, you duck into your favorite cafe to order a peppermint mocha. Suddenly, your glasses have fogged up—again. Any glasses-wearer is familiar with this ordeal. Foggy lenses are a common complaint—prescription eyeglasses, athletic sunglasses, and snowboard goggles all end up with condensation on the lenses at inopportune times. Why does this happen, and how do you stop glasses from fogging up in winter? Why Do Glasses Fog Up in Winter? Cold lenses plus warm air equals condensation. Water vapor in the air transforms into liquid form when the temperature changes and that liquid clings to a surface—in this case, your lenses. When the fog clears from your lenses, the opposite happens—the liquid evaporates, turning back into a gas. Taking your glasses off and holding them in front of a blowing vent or waving them around gently can speed up this process, but wouldn’t it be nice to avoid the foggy lenses altogether? Some lens materials are less likely to fog up—while glass lenses are more likely to fog, polycarbonate and plastic lenses may resist fogging. Anti-reflective treatments not only reduce glare, they often include a hydrophobic coating that resists water, smudges and fogging. Most sports sunglasses and ski or snowboard goggles are designed to allow venting and prevent fogging, even when you’re breaking a sweat. Anti-fog technology is common in sports lenses and can make eyewear safer by preventing vision-obscuring fog on the lenses. Prescription glasses that rest further from the face will also allow air to circulate around the lenses to minimize fogging. Dirt, smudges, and scratches give condensation more to cling to. Keep your lenses clean, avoid leaving fingerprints on your lenses, and handle glasses gently to prevent scratches. Cleaning your lenses regularly can help reduce fogging. A simple way to clean your glasses is to use a gentle dish soap—a one-two punch as dish soap’s properties can reduce fogging. Because the surfactants in dish soap reduce surface tension, a thin film of water coats the lens instead of a mist. 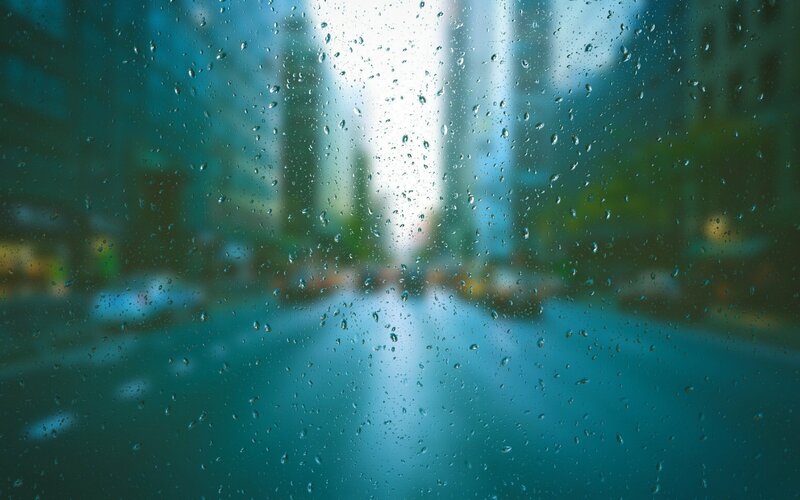 Though there’s still moisture on the lens, it allows light to pass through rather than it being scattered in multiple directions as it is through droplets—so your vision isn’t obscured by fog. A lens cleaner or reusable or single-use anti-fog wipe made specifically for preventing foggy lenses is safest for your lenses. Similar to dish soap, surfactants are part of how an anti-fog treatment works. Other treatments not made for glasses can harm anti-glare or photochromic coatings, and can void any warranties your lenses carry. If your glasses keep fogging up, letting more air flow around the lenses can reduce the problem. Adjusting the nose pads or arms slightly can help keep your glasses where they belong. 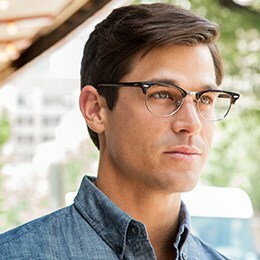 Frames that sit too close to your face may need adjustment by your optometrist, but there’s only so much they can do. If fogging is a common occurrence, your glasses frame size may be off—consider a new frame with more space between the lenses and your face. The best fix is one that’s actually made for glasses, but if you’ve tried everything else and are still searching for a solution, a tiny dab of shaving cream can reduce fogging. Spread it over both sides of the lenses and let it dry, then gently rub the shaving cream off with a microfiber cloth. The film the shaving cream leaves behind reduces surface tension, so the moisture slicks away. If you must use this technique, avoid shaving foams that include lotions as they’ll damage your lenses. Baby shampoo or gentle dish detergent mixed with water offers a similar fix. It can be mixed in a small spritz bottle and used as necessary. Any topical solution must be re-applied often as it wears off. Rubbing your lenses with a potato is not going to do it. The starch may have kept your grandfather’s windshield from fogging, but there are better options out there. Keep the taters on your plate, and not on your lenses. Toothpaste shouldn’t go on your glasses lenses because many contain tiny, gritty bits that are great for cleaning your teeth—but they can scratch your lenses. You should never use toothpaste to try to buff scratches out of your glasses, either—it just won’t work. Hot water can damage your lenses, lens treatments, and frames. Use lukewarm water instead. Household cleaners like vinegar, ammonia, glass, or surface sprays can damage lens treatments, so they should not be used on glasses. Spitting on your lenses is gross. SCUBA divers do it, but please don’t. Use a lens cleaner instead. Warm air hitting cold glasses is problematic and the science of foggy lenses knows no season. Humid summers combined with your car’s air conditioning offers similar troubles, and sports in any season can produce fogged up lenses. Though treatments made for glasses are your best option, people have found creative ways to prevent foggy lenses in winter. These tips can help provide fog-free lenses and clearer vision in any season. Unless your lenses include an anti-fog treatment, fog prevention remedies are only temporary and must be reapplied regularly for the best results.